Android launcher is a great way to customize your Android experience without rooting your device . Android launchers generally change the look and feel of your device. You are able to change animations and graphics, install custom widgets or give the app drawer a whole new look. 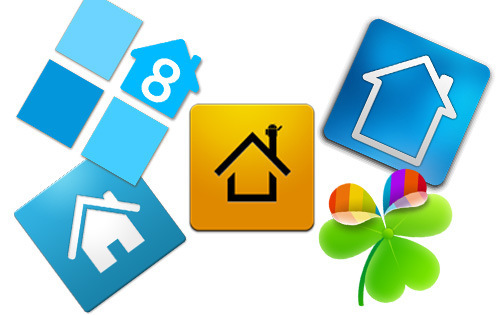 This entry was posted in Android, APK's, News and tagged Android, android launcher, apk, Computer icon, CyanogenMod, Google, Google Nexus, Google Play, LG Nexus 5, Look and feel, top launcher. Control Your Playstation PS4 from your Android phone. Reblogged this on Totally Inspired Mind-Where Positive Minds Congregate. I have an Android MyTouch phone and absolutely love it. Many of the posts on Totally Inspired Mind: Where Positive Minds Congregate were created on it using the WordPress app, which I love. In many respects it works better than the standard website for my computer! I don’t consider myself a tech geek but I use computers to accomplish extraordinary things with CA Restaurant Show Case. You have an interesting blog here & thanks for following Totally Inspired Mind. Enter your email address to join with us and receive notifications by email.